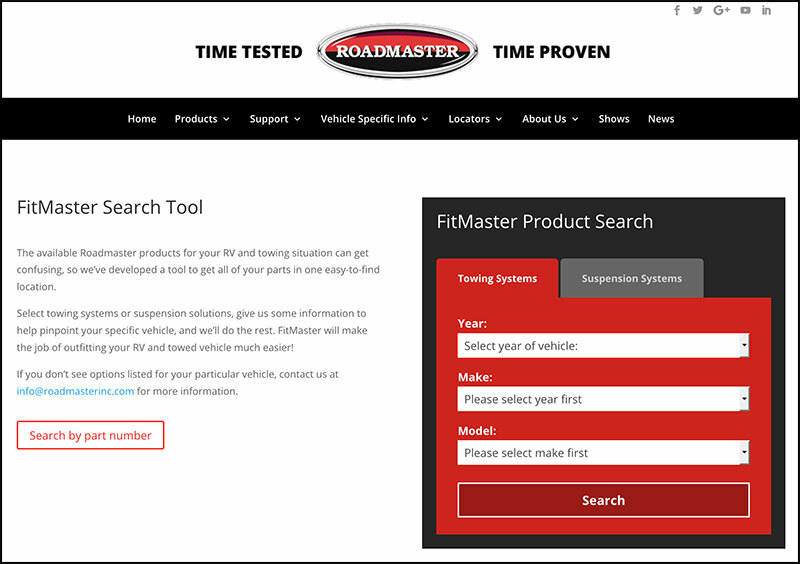 Roadmaster Launches FitMaster - Try It Now! Roadmaster Inc., manufacturer of towing systems, suspension products, and accessories for truck camper rigs and towing, has launched an all-new app called FitMaster. 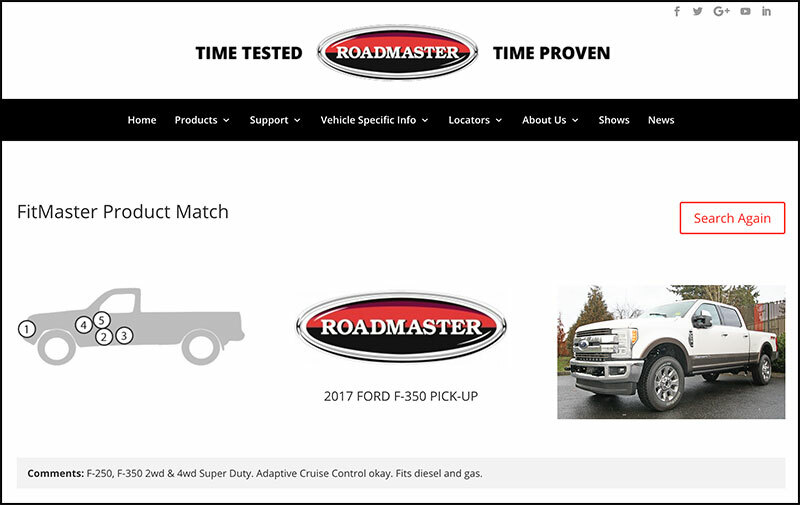 Located under the FitMaster section on the new RoadmasterInc.com, FitMaster creates a visual representation of the available Roadmaster equipment for your truck and/or vehicle. FitMaster also provides the part numbers and shows your installer the color of your vehicle brake light wire and indicates whether it has separate of combined lighting. 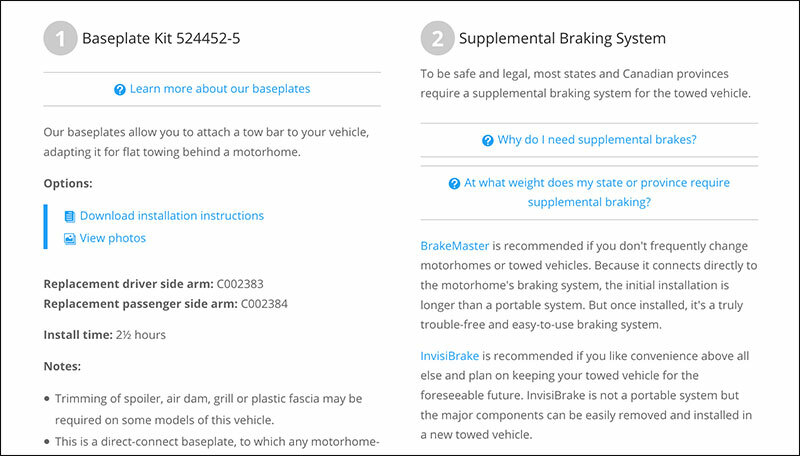 Click here to try Roadmaster’s FitMaster for your truck. Click here to request a free Roadmaster brochure.